The next show will air on Sunday 11/20 at 11:00 PM – Monday at 1:00 AM on WBAI, 99.5 FM in the NYC metro area or streaming online at wbai.org. Tune into this program to hear more about this legendary composer, band leader tenor and soprano saxophonist. 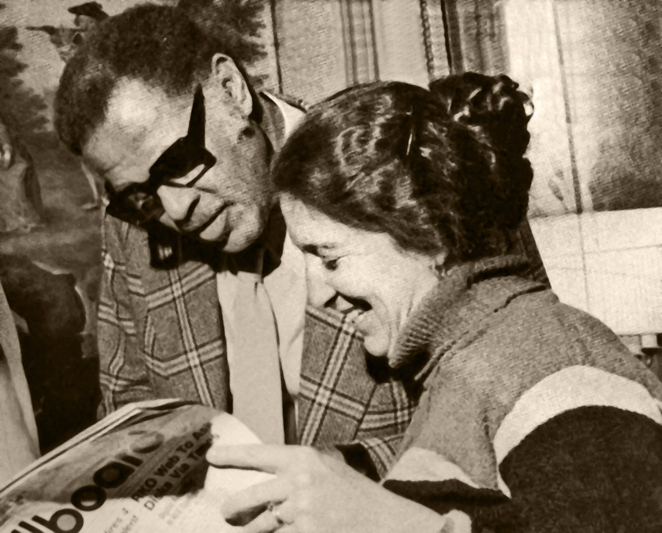 We’ll talk to Dexter’s wife Maxine Gordon and host a repeat visit from Woody Shaw III. 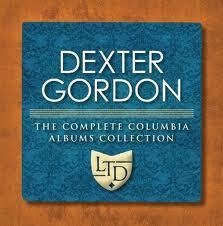 We will also sample the box set Dexter Gordon – The Complete Columbia Albums Collection. Dexter Keith Gordon was born on February 27, 1923 in Los Angeles, California. His father, Dr. Frank Gordon, was one of the first African American doctors in Los Angeles who arrived in 1918 after graduating from Howard Medical School in Washington, D.C. Dexter’s mother, Gwendolyn Baker, was the daughter of Captain Edward Baker, one of the five African American Medal of Honor recipients in the Spanish-American War. Dexter began his study of music with the clarinet at age 13, then switched to the alto saxophone at 15, and finally to the tenor saxophone at 17. He studied music with Lloyd Reese and at Jefferson High School with Sam Browne. In his last year of high school, he received a call from alto saxophonist Marshall Royal asking him to join the Lionel Hampton Band. He left Los Angeles with the band, traveling down south and learning to play from fellow band members Illinois Jacquet and Joe Newman. In January 1941, the band played at the Grand Terrace in Chicago for six months and the radio broadcasts made there were Dexter’s first recordings. In the late 40s, Dexter appeared on the famed 52nd Street in New York City with Charlie Parker, Fats Navarro, Miles Davis, Max Roach, and many of the bebop innovators of the day. In 1976, Dexter enjoyed a hero’s welcome in the U.S. when he made his return engagement at Storyville in New York City with Woody Shaw, Louis Hayes, Ronnie Mathews, and Stafford James. He subsequently played the Village Vanguard, signed with Columbia Records, and was officially back in town. He organized his first working band during this period with George Cables, Rufus Reid, and Eddie Gladden. He considered this band to be his best band and he toured extensively with them and recorded Live at the Keystone (Mosaic) and Manhattan Symphonie (CBS Sony) with the group. In 1986, Dexter moved into his new career, acting, in the motion picture Round Midnight, which was directed by Bertrand Tavernier. He was nominated for an Academy Award for Best Leading Actor in 1986 for his portrayal of Dale Turner, a character based on the lives of Lester Young and Bud Powell. The music for the film won an Oscar for musical director, Herbie Hancock. The film included fellow musicians Bobby Hutcherson, Billy Higgins, Cedar Walton, Freddie Hubbard, Tony Williams, Pierre Michelot, John McLaughlin, and Wayne Shorter. Hosted by Arts Producer Joyce Jones.